First, I love how this company always has such inspirational and cute quotes printed on their products. Next, I LOVE the packaging, it’s bright, fresh, and clean. And if it may be just a manufacturing detail, or not, the little air bubbles in the bottle make me want to pump the bottle that much more. This is a liquid lather product and not a foam from liquid, making it perfect for me since I use a Clarasonic Mia. I have used it by pumping into my hands and lathering it up and it works just as well. Clear Days Ahead has a wonderful citrus smell that is refreshing and eye opening, without that overbearing fake odor that some facial cleansers have when adding orange and or lemon scents. This is not an exfoliator or skin polisher so there are no micro scrubbers or crushed shells. Just a simple “clear” skin cleaner. For me this is a perfect daily use cleanser that I enjoy especially on those hot and humid days when you can’t wait to take the makeup off and splash some cool water on your face. I also noticed this product has never left any makeup residue on my face where as other face washes less expensive and more expensive have. Who may like to try this product? I’d say a wide range from mid teen to mid thirty. If anyone has both acne with sensitive skin that is always an issue many face washes try to address and I feel as though Philosophy has in this bottle. My experience so far has been that this does not leave my face feeling as though I just used an acne clearing face wash. There has been no tightness or irritation, it does just an amazing job of cleaning and leaving the skin smooth and soft. I’ve used this nightly for over a month now and it is definitely staying in my closet. If you’re a fan of MAKE UP FOR EVER and in the North Hollywood area make sure you sign up now to reserve your spot for this workshop thanks to Nigel Beauty Emporium. This little makeup cootie truly can see The Artistic Advantage of this workshop and with a fee that won’t break the bank, I give this a thumbs up. The fee is redeemable in MAKE UP FOR EVER products!! Honestly it can’t get any better than that!! As the name states WONDER PENCIL is a concealer, eye brightener, and a “reverse lip liner”. This pencil comes in light, medium, and dark for a variety of skin tones. This is one of those products that a little goes a long way. As an eye brightener it truly is amazing. Just by lining the inner rim of my eyes it gave me a well rested and fresh look. It glided on smoothly and lasted at least four hours before showing any signs of fading. This pencil is far from a crumbly chalk stick and more like a Kajal consistency. I had no irritation issues after applying this to my waterline as I have experienced with other eyeliners. As a concealer it blended and covered small blemishes very well. I have not yet tried it as a “reverse lip liner” but may try it with an orange colored lipstick in the future. Simply put…ABSOLUTELY LOVE THIS PENCIL! Fantastic product at a fantastic price. Will rebuy a couple as to not cross contaminate using on eyes, then face, then lips. Definitely “wonder” how I got along without this pencil in my closet. The Makeup Show Chicago will return for its annual event bringing together all beauty and fashion professionals to present the largest pro-driven beauty event to the Midwest! Join them for two days dedicated to Artistry, Networking, Community, Inspiration and Education. Fill your kit with pro-driven essentials. Refine your skill-set in our exclusive hands-on workshops and seminars. Work with FX, Fantasy and Beauty. Explore Business strategies and opportunities during forums & Keynotes. Network with brands execs and CEOS. So go to www.themakeupshow.com for more info. 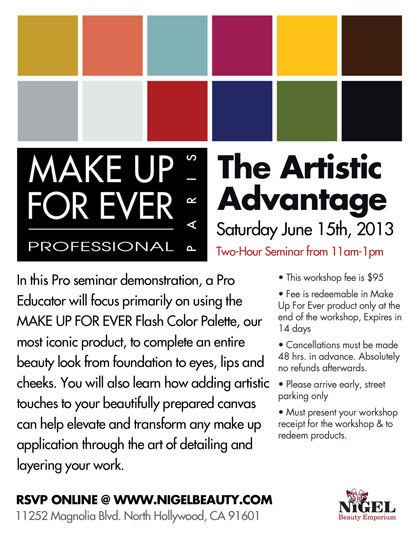 It’s the Midwest must-attend event for all those working and studying beauty! So if you’re in the Midwest go check out this years. They have so much to offer with Hands on Workshops (at an extra cost). And will have tons of great product lines that will be there. Here’s some just to name a few. So don’t miss this event!!! And hurry to their site cause advance ticket sales end June 6th Thursday. Check out www.revlon.com for details and what they say about this product. By far the best matching color foundation I have tried. Since I am so fair toned it blended perfectly into my neck and jaw line without giving me a “masked” appearance. The texture was inviting, like a creamy mousse, not bad for applying with fingers. I agree with many other reviews, I’ve read online, about not applying this with a brush or sponge. It just isn’t feasible. It doesn’t dry so fast you feel the need to rush the application and sets like a liquid foundation. It doesn’t feel sticky, tacky, heavy, or oily after wearing for a couple of hours. Almost felt as though I didn’t have any foundation on. There is no distinct smell as can be the problems with other foundations. Issues I had with this product included smearing around my nostrils and the bridge of my nose. It slightly oxidized by the touch. I noticed it had settled into the larger pores on my cheeks. After only one day of use I had a small break out on my forehead. I did however continue to use this product for three days. I had further small break outs on various areas of my face. I tried wearing this product with and without a primer to give it an unbiased review. I did the same with and without a setting powder as well. The final results were exactly the same. If you have oily skin you may have better luck with this product. If you have larger pores you may want to steer clear. Sad to say I will be returning this product so I’m glad I kept my receipt. I first heard of OCC three years ago at the first NYC IMATS (International Make-Up Artists Trade Show) 2011. Their print ads in Make-up Artist Magazine always made me wish I had stopped and took the time to really go over to their booth. The following year I checked out a few of their amazing products, but sadly all of my money had been spent. Then and there I realized this company would be hitting mainstream soon and made it a priority to visit them at the following IMATS. At the NYC IMATS 2013 their booth had more than fifteen minute line waits and as a featured guest the YouTube sensation “Queen of Blending” who has a unique makeup approach that inspires the inner artist of us all. 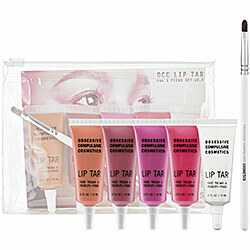 September 2012 OCC launched their staple one-of-a-kind Lip Tars in Sephora stores. This year with their recent release of Lip Tar Stained Gloss they’re surely to be on everyone’s lips in more ways than one. And why wouldn’t anyone not be talking about these great, 100% vegan, cruelty free products? Company founder, David Klasfeld, honestly crafted a line that all make-up artists can appreciate and covet. They pledge to never use animal derived ingredients including; lanolin, beeswax, carmine, etc., in their products and accessories. 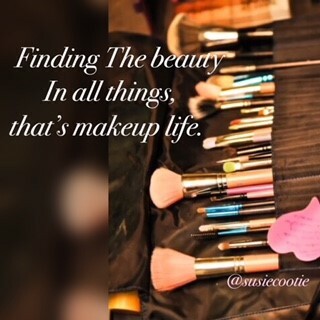 Animal ingredients can be amongst the most allergenic, skin reactive, and shunned for religious purposes preventing makeup from being considered Kosher or Halal. This sensitive skin gal appreciates all of this in their many cosmetics. Go to the official OCC website (www.occmakeup.com) to reap the many beauty benefits including a line of Loose Color Concentrates (eye shadow with a snazzy name) available in thirty-six, YES THIRTY-SIX, long wearing shades. For the rest of the face they offer the following products; concealer, primer, and a tinted moisturizer which itself is great for everyday use since it has coconut and acai extract as main ingredients that help hydrate the skin throughout the day. There is an array of Nail Lacquer with three textures and two different finishes at a competitive price point you should consider. For you the machine lovers don’t fret they offer HD Airbrush Foundation that you should try. This product is so versatile that it can be used with their #002 Foundation Brush even if you don’t have an airbrush you should definitely try this one. And of course they are a full cosmetic company with a line of 100% vegan brushes as well. It’s easy to tell this company and brand has even more to offer. 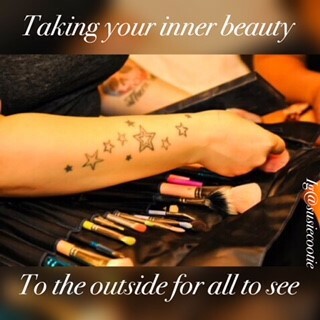 In due time the Beauty Mavens will all have a little bit of OCC.